Our purpose is to nurture the innate wholeness of our community by cultivating healthy relationships and healing harms through circle-related practices of deep listening, honest sharing and personal responsibility to each other and our Earth. ​We believe that the foundation of strong, just and equitable communities is built on shared values of trust, honesty and compassion. The traditional circle dialogues that we employ have been used by indigenous peoples for centuries to peacefully resolve conflict, while honoring the needs, priorities and potential of every member of the community. 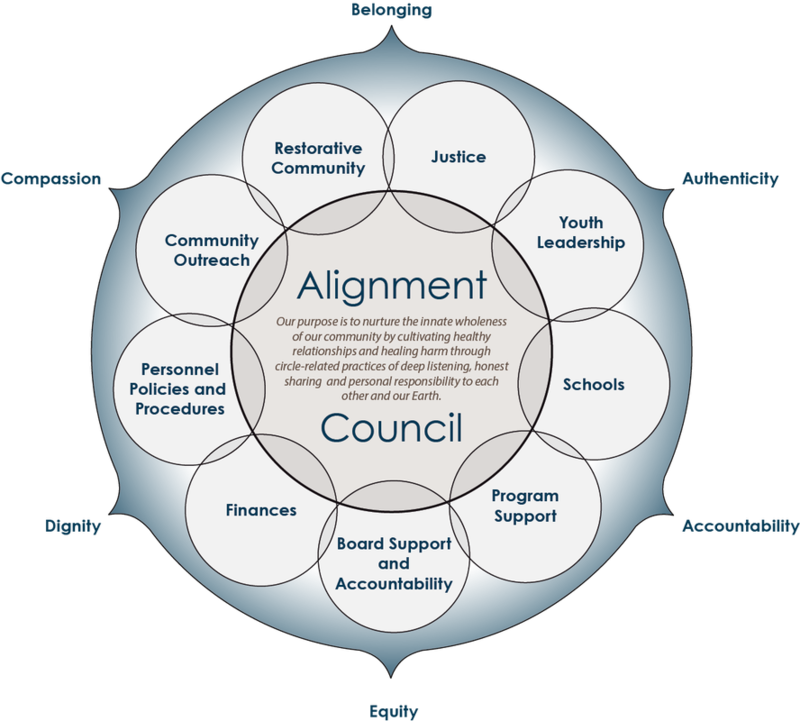 It is our intention to support the use of this practice wherever conflict and inequity is found in our community – within our schools, justice institutions, workplace, local organizations and homes. We use a circle-directed, community based approach to dealing with crime, the effects of crime on the victim and our community, and the prevention of crime. A restorative justice process operates from a belief that the path to justice lies in problem solving and healing harms, rather than in retribution and punitive isolation. We believe that those affected by a wrongdoing, including the one who caused the harm and those impacted by those harms, should all have a voice and be given the opportunity to help arrive at an equitable solution. It is important to us that those who committed the wrong be held responsible for their actions. ​This process creates a safe, supportive space for children to learn core values of respect, accountability and the importance of acting from a position of empathy and understanding. This translates into healthier relationships with peers, school administrators and teachers, with the result being a more engaged student at all levels. We partner with Sonoma County organizations and groups to inspire, train and facilitate circle dialogues, with the goal of resolving conflict, healing harms and giving voice to all members of the community. our podcasts and news reports, ​or simply by contacting us.